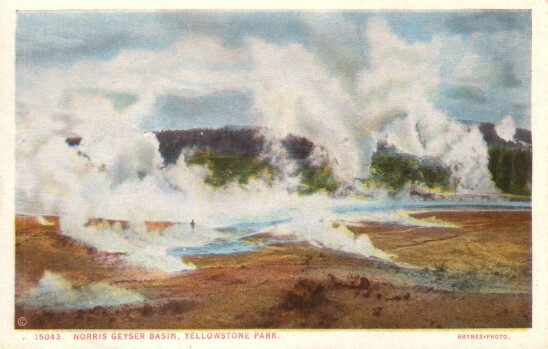 Original vintage color postcard of Yellowstone National Park (Norris Geyser Basin). Undated but probably from the 1930s. Unused, has minor to moderate corner wear. ONLY ONE AVAILABLE FOR SALE.